About ABPS (North West) Limited. Cardboard Tubes and Composite Tubes Manufacturer. Packaging materials. 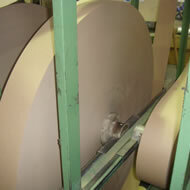 Our core business is the manufacture and supply of composite tubes cardboard tubes and other packaging materials. Our tube winding line produces a range of tube styles and sizes with diameters from 40mm to 99mm and wall thicknesses up to 2mm. These can be unlined or lined with foil or PE for food applications. 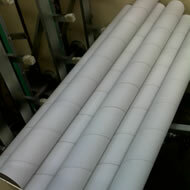 Most of our production is for customers who require fully printed tubes. However outer layers can also be simple white, brown, or plain colours such as red, green, blue or black. 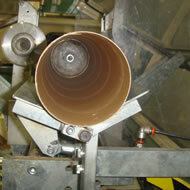 Composite tubes are produced by sealing a metal base and/or lid on to the plain or labelled tube. A wide variety of closures either in metal or plastic are available allowing great flexibility to packaging designers and users. The company is privately owned and from our factory in the North West we now supply customers in a variety of markets throughout the UK. We have built our business on the ability to respond to customer demands for both small and large product runs. As with many industrial processes, larger runs offer the most economical pricing but we recognise that for many customers our capability to produce short runs at short notice can be just as important.